Tensile test is one of the typical metal forming processes, which is useful for evaluating the predictions, learning principles embedded in solid mechanics and understanding material behaviors in metal forming. 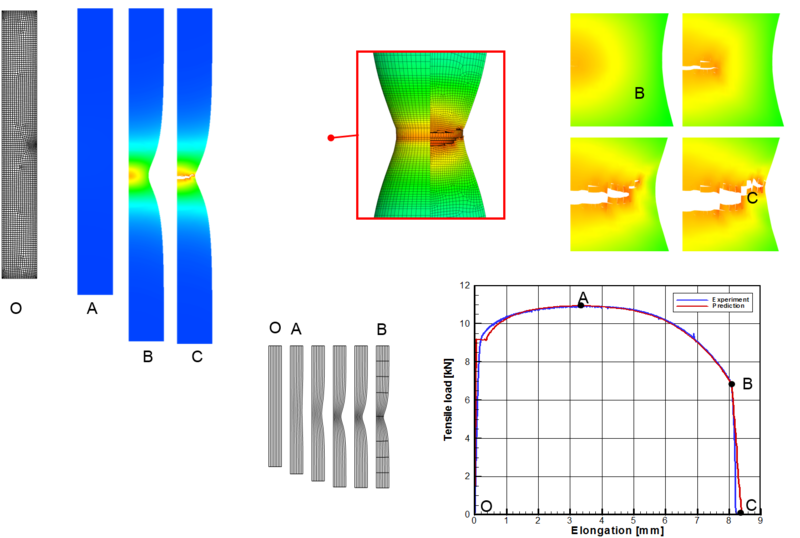 The graph shows the result of the entire process in a simulated tensile test including crack propagation after fracture point, revealing that the predictions are very close to those of experiments. The flow stress employed here is based on the properties by AFDEX MAT.